I wanted to post this because I know there are others out there who may find themselves in the same predicament I did over the weekend. I upgraded a client that was using Studiopress Education Child Theme to Genesis 2.0. It sort of “broke” the front page. At the bottom of the home page is the loop. I had customized the loop (originally using the grid loop code and then grid loop fix by WP Smith to show a specific category. In this instance the Main Blog category. Although I had originally used the grid loop my client decided he only wanted to use the two featured posts and not the “grid feature” I just changed the code to show that rather than changing the home.php file to a different kind of query. In my hours long search for answers I came across the two part solution (each on a different site) but wasn’t sure how to implement the more tag fix. I opened a ticket at Studiopress and had my fix by the end of the day thanks to Nick. 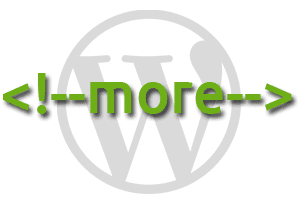 While I was at it I had found how to simplify my code to show my Main Blog category from Bill Erickson’s Article on Customizing the WordPress Query. This was also giving to me by Nick at Studiopress. Instead of exclude I changed it to include instead of exclude. This went just above the ending genesis(); code.